Swimming pools are a great way to improve the value of your home and a pool enclosure is like adding frosting to an already delicious cake. A pool enclosure helps extend the use of your pool during the less than perfect times of the year, that is, when its cold. It also protects you from harmful UV rays during summer months. And it looks great. 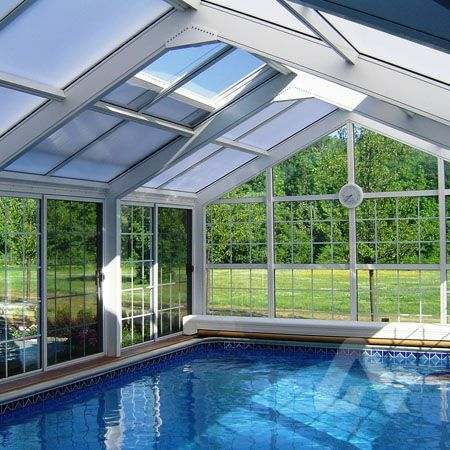 Swimming pool enclosures give you and your family a sheltered interior environment. That means all year-round swimming, great for your health and your entertainment. To get the best design and best installation advice for your pool its best to consult with professional swimming pool enclosure designer. Here are some of the benefits, things to consider when planning a pool enclosure and how long your own pool enclosure should last. Unlike pool covers or pool blankets, installing a pool enclosure protects you if you live in an area with long, intense summers, constantly exposing you to the sun's harmful rays. They provide shade, keep you cooler and reduce cleaning and maintenance times and costs. 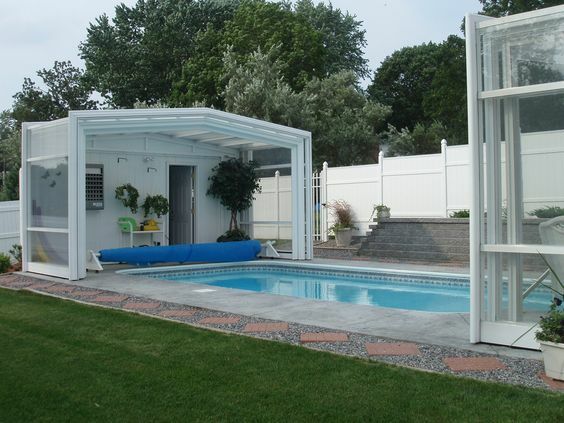 Although they cost more, retractable pool enclosures are ideal for providing you with the best of both worlds. That's shade when you need it and partially opened to allow in a refreshing breeze. If you have children or pets, you are always wary of them being around an open pool. A pool enclosure is one way to keep the risks down. You can enclose the entire area or just a section. With end panels, door, windows and side wall you have increased security and safety. Perfect when you are home but even better if you are away from home. Being able to lock up your pool enclosure helps your neighborhood stay safe. And if you like the idea of more privacy, a pool enclosure will stop people from watching you without your consent, which is good for you and your children. 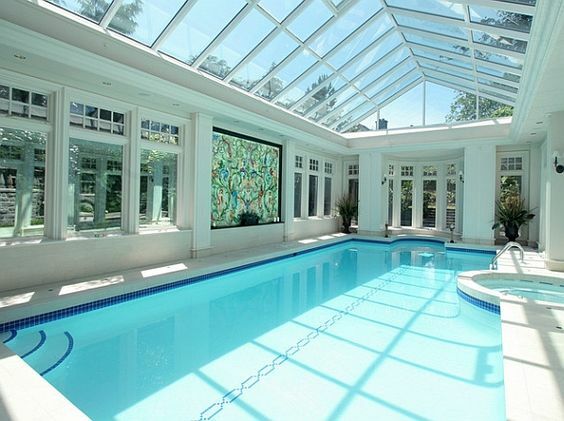 A swimming pool is like an extension to your home and a pool enclosure is like adding a summer living room. It makes your home feel more spacious and luxurious, helping you to entertain guests outdoors for longer without worrying about the elements. It helps define the space and allows you to enhance it. You can take this idea further by installing an inside out pool, where half of the pool is inside your house and half of it is outside. If you have chlorine in your pool, the sun's rays burn off chlorine which means you are continually topping up the chemicals in your pool. That is expensive and time consuming. Using a pool enclosure means you can block the sun's rays and use less chemicals in your pool. Regular use of chemicals is not only expensive but can also affect your health. Eye irritation, breathing problems and bacteria build up means swimming pool chemicals are necessary, but using pool enclosures helps to control exposure to pollutants, phosphates, leaves, and dirt and reduce the amount of chemicals you have to use. 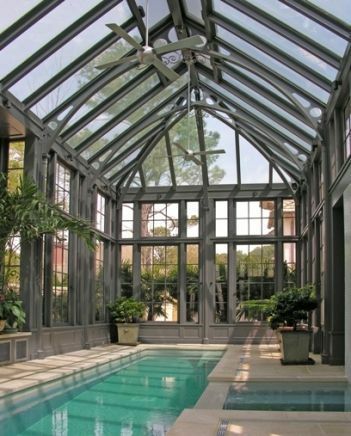 A pool enclosure will also reduce the amount of insects, leaves and debris in your pool. Cleaning time will be reduced and your pool will always be ready for you to use. There are other positives too. Other maintenance expenses like replacing ripped or faded liners, cleaning, and balancing pH levels can also be done less often saving you time and money. Having all year round access to your pool is good for your health, great for entertaining with family and friends or doing laps. Protecting your pool from the elements means you can do these more often and longer during the year. 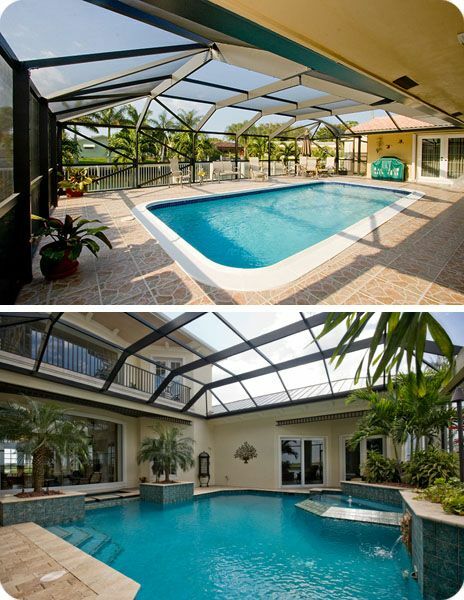 Would a Pool Enclosure Suit You? 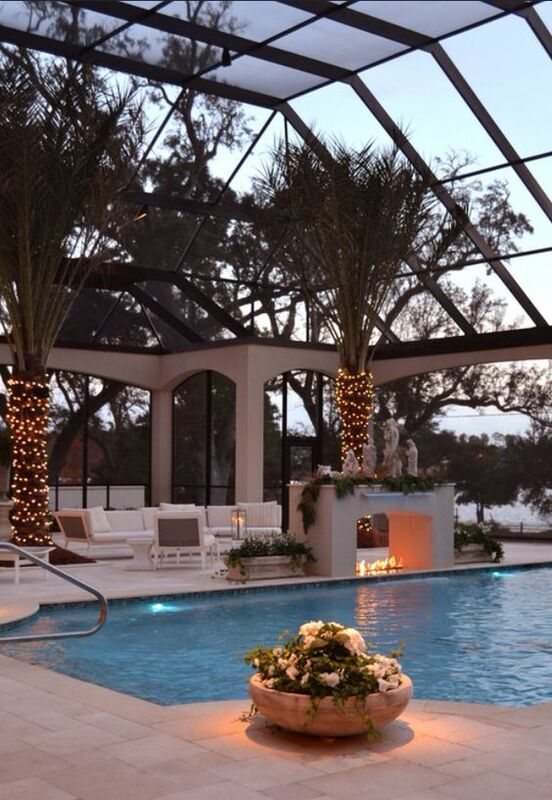 If all the benefits of an enclosed pool sound like they would work for you, here are some things to consider before meeting an enclosure designer. Landscaping, Patio and Decking Configuration - What size and shape would suit your backyard without taking away from your landscaping, patio or decking? You can cover the entire area, cover only the swimming pool or do a part cover configuration. Each one will have a different cost, but will also impact on how you use your garden and outdoor area. Location - Is you swimming pool area close to garden or trees? Would additional landscaping be required and do you need to make provision for extra landscaping? This decision will depend on your personal style and taste and whether you prefer a manicured garden pool look or a tropical scene surrounded by thick dense foliage. Budget - The cost of your swimming pool enclosure will depend on a number of factors including size, design, materials and your contractor. Get a number of quotes with different sizes and materials to see which one is best for you and your budget. The cost can vary depending on whether the contractor is providing an on-sight fabricating construction but check to see if there are prefabricated construction options available. Pre-painted aluminum often lasts for 7-12 years before needing to be re-painted. Regular maintenance can help you extend this period before repainting. As far as weather is concerned, strong winds won't present a problem to your pool enclosure. The panels are large, and in most cases the frame is made from aluminum and if secured correctly can take strong wind forces.However, if you life in a hurricane zone, severe damage to the enclosure is possible and a tornado could destroy it. Check with your enclosure designer for guarantees, disclaimers and warranties to make sure you have the correct material for your area. Rips and tears can occur to screens, often caused by from wear and tear but in most cases it's degradation from evaporating evaporating pool chemicals, which can cause screens to become brittle before breaking. A pool enclosure can help you enjoy your pool for longer each year, and being in a protected enclosed area, its one more area of the house to accentuate and improve your home's curb appeal.